Forklifts : Classifications and how to pick the right one for your business. How the ITA (Industrial Truck Association)identifies the different types of forklifts and the applications they fit in. 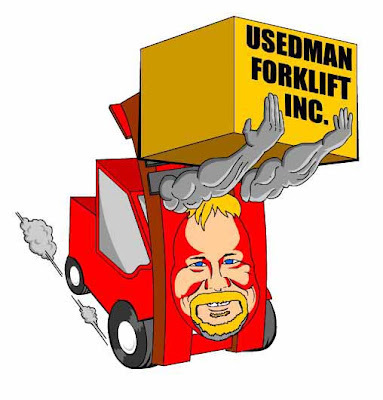 Call the very best advisor before purchasing your forklift. The most important call you will ever make is the one that guides you to the exact right forklift for your needs. Ken Cox is knowledgeable and has only one concern, which is to listen well to your circumstances and then provide the best possible affordable piece of equiptment for your particular needs.